Catnip, or Nepeta cataria, is a common perennial herb plant. Native to the United States, and thriving in USDA zones 3-9, the plants contain a compound called nepetalactone. 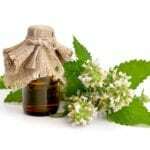 Response to this oil is most commonly known to influence the behavior of household felines. However, some additional uses can be found in cooking, as well as its use as a calming tea. For many home gardeners, homegrown catnip is an invaluable asset to the home herb garden, and sowing catnip seeds in a common way to get started. If you’re new to growing this plant, keep reading for information on how to plant catnip seeds. Like many other members of the mint family, catnip is fairly easy to grow. 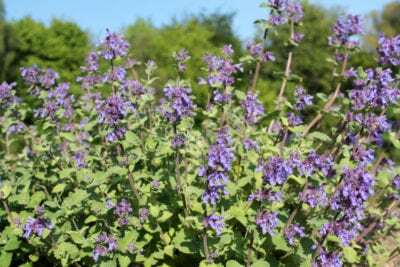 Doing so well, even in locations with poor soil, catnip is considered invasive in some places, so always make certain to do thorough research before deciding to plant this herb in the garden. Here are some common methods of catnip seed propagation. Catnip plants are commonly found at garden centers and plant nurseries in early summer. 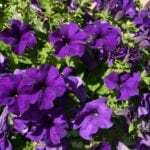 However, one of the easiest methods of obtaining new plants is to start them from catnip seed. Propagation through seeds is a cost-effective option for those on a budget, as well as an excellent choice for growers wishing to make multiple plantings. Though easy to obtain, catnip seeds may sometimes be difficult to germinate. Like many perennial plants, higher germination rates may occur after a period of stratification. Stratification is a process by which the seeds are treated to varying conditions as a means to promote germination. For catnip, seed sowing should occur after the seeds about been placed in a freezer overnight. After this period, allow the seeds to soak in water for a period of 24 hours. This will allow for easier and more uniform germination rates. After the stratification process has been completed, use a seed starting tray to plant the seeds. Place the tray in a warm location near a windowsill or under grow lights. When kept consistently moist, germination should occur within 5-10 days. Move the seedlings to a bright location. 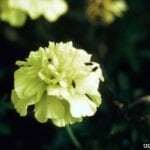 When the chance of frost has passed, harden the seedlings off and plant into the desired location. The catnip seeds are sown inside the greenhouse during the winter and left outside. Periods of rain and cold simulate the stratification process. When the time is right, catnip seeds will begin to germinate. Seedlings can be transplanted into the garden as soon as the chance of frost has passed in the spring.